Multiple IgG1/IgG2a/IgG1 negative control is a suitable isotype control for the measurement of non-specific binding of mouse IgG1, rat IgG2a and rat IgG1 monoclonal antibodies, conjugated to FITC, RPE and RPE-Alexa Fluor ® 647 respectively, in three colour flow cytometry experiments. This product is appropriate for use in experiments targeting human, canine and porcine cells. Triple Colour combination consisting of FITC, RPE and RPE- Alexa Fluor® 647 conjugated monoclonal antibodies mixed in optimal ratio - lyophilised.  1It is recomended that the user dilutes the antibody for use in their own system to a concentration equivalent to their test reagent.